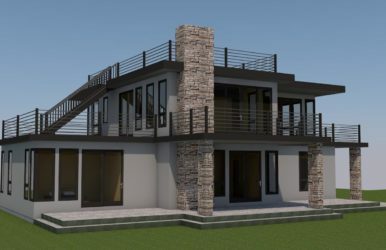 This contemporary beach home plan features 3,109 square feet of post and beam living space, 4 bedrooms, 5 bathrooms, floor to ceiling windows to capture views and a private second floor balcony. 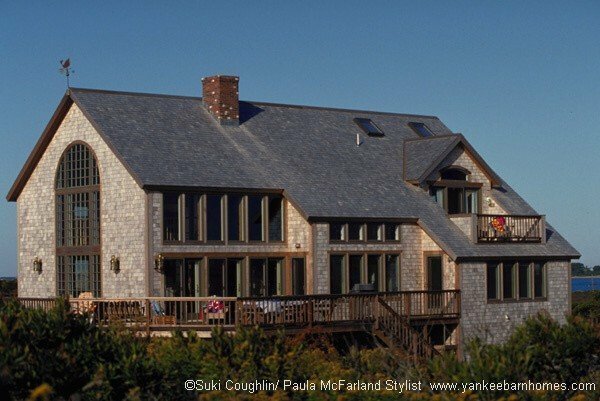 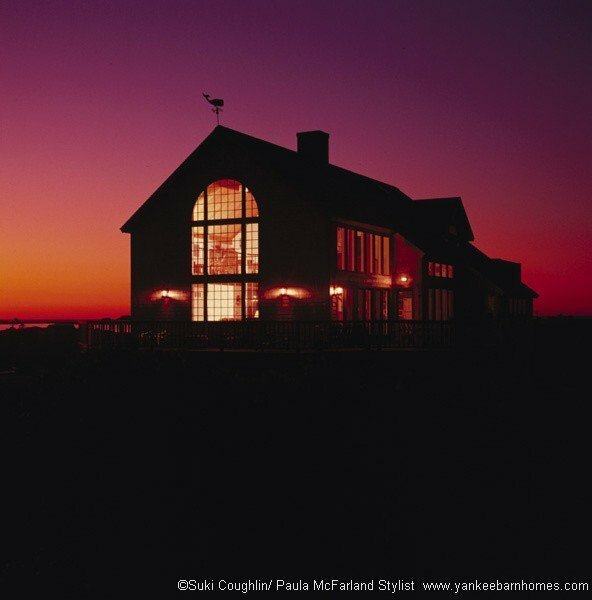 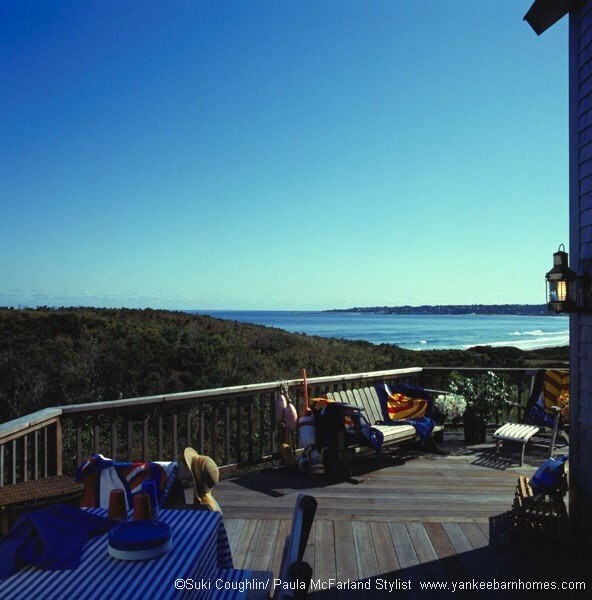 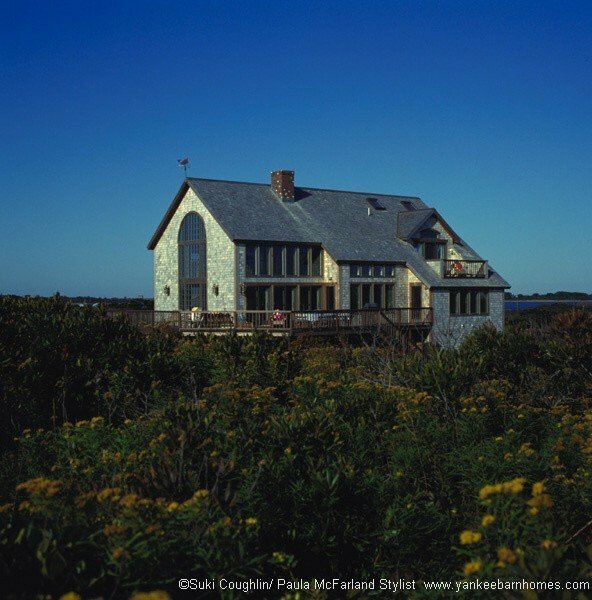 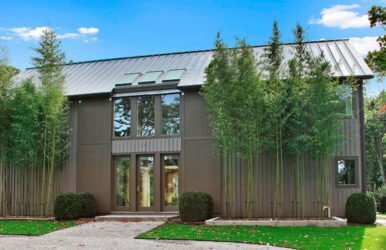 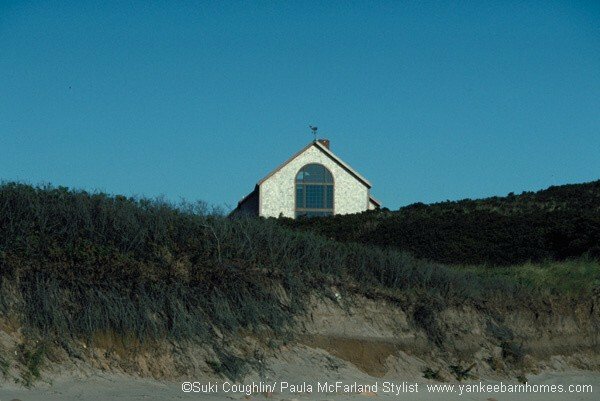 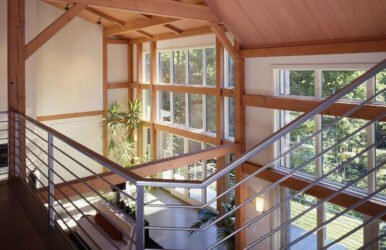 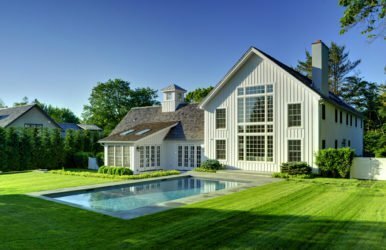 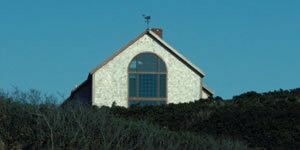 The exterior combines two looks in one house: a traditional farmhouse from one side and an island beach house from the other. 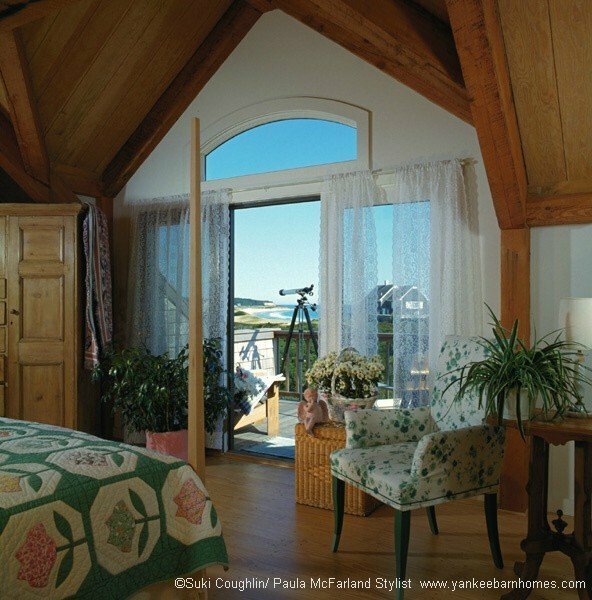 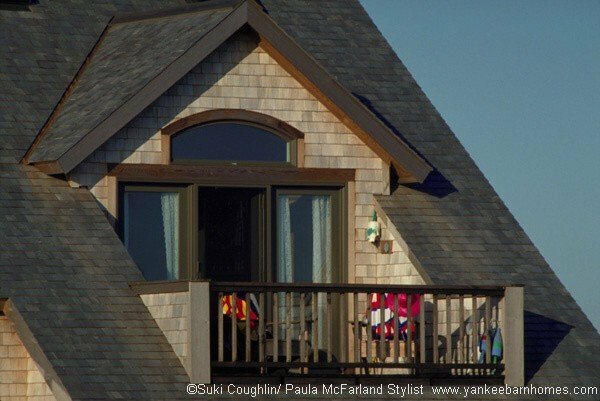 The inset roof deck adds a Victorian look to the exterior and a sunny aerie for the master bedroom. 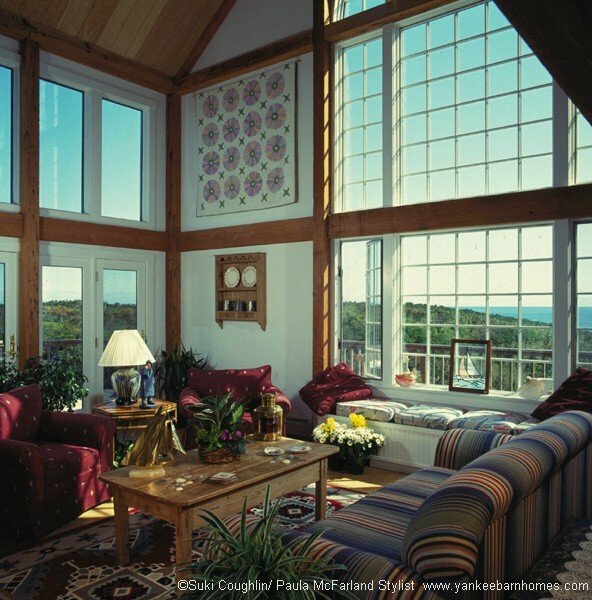 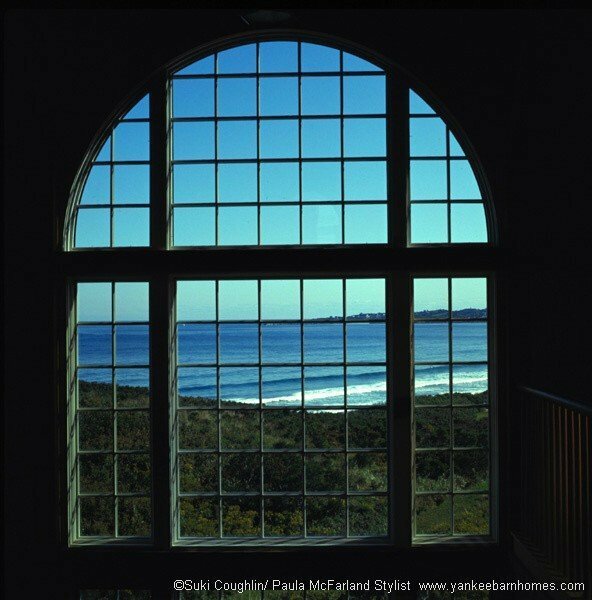 The kitchen opens into a breakfast area with stacked windows for island views and sunshine. 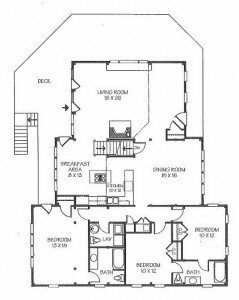 The layout with a private guest area and several bathrooms is appealing for rental as well as entertaining family and friends.